Fire Retardant Covers & Tarps | Reef Industries, Inc.
Reef Industries, Inc. offers numerous fire retardant materials to meet environmental compliance or safety requirements for critical equipment and work areas. From lightweight to heavy-duty products, Reef Industries can meet your requirements with a fire-retardant cover material specifically tailored to your application. All fire retardant covers are fire rated and pass NFPA 701 Large Scale "Standard Methods of Fire Tests for Flame-Resistant Textiles and Films" and most have Class I / Class A Flame Spread rating per UBC-42 and ASTM E-84. Quality assurance testing is conducted by a certified independent laboratory in order to ensure all fire retardant covers meet the necessary safety requirements and that products are made of the finest quality materials. If required, covers can be labeled with fire retardant information such as the fire retardant specification and designation. Fire retardant grades are reinforced with a high strength cord grid to resist tearing and are readily available. AT-300 FR is a heavy duty PVC laminated polyester scrim product with taffeta embossed finish. The material is fire retardant and weather resistant with a high tensile strength. Armorlon® Type-175 FR is a fire retardant PVC coated scrim material. It is specifically engineered to provide high strength and durability in a lightweight material. Armorlon® Type-195 FR is a fire retardant PVC coated scrim material. It is specifically engineered to provide high strength and durability in a lightweight material. Griffolyn® Type-55 ASFR is a 3-ply laminate combining two layers of antistatic fire retardant, linear low density polyethylene film and a high- strength cord grid. It is specifically engineered to provide antistatic fire retardant performance in a durable lightweight material. 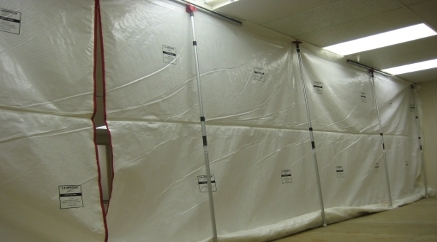 Reef Industries, Inc. manufactures equipment covers designed to protect telecommunication devices against dust, water and other substances typically associated with malfunctions and failures. 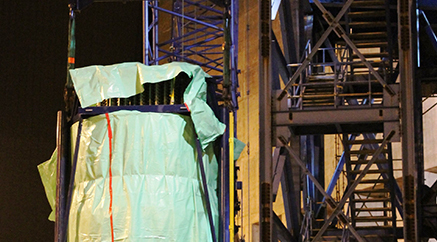 Griffolyn® equipment covers, such as our Griffolyn® Type 55ASFR, meet even the most stringent requirements. This product is both anti-static for solid state equipment applications and fire retardant to meet safety codes around critical equipment and work areas. If required, covers can be labeled with fire retardant information such as the fire retardant specification and designation. As with all the Reef materials, our fire retardant grades are internally reinforced to resist puncture and tear propagation. From lightweight to heavy-duty products, Reef Industries can meet your requirements with a material specifically tailored for your application. 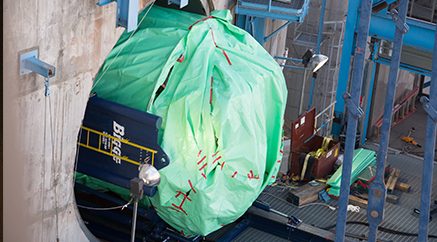 Griffolyn® equipment covers provide durable protection year round and are available in standard sheet configurations or custom fabricated designs.